If you're looking to buy a condo in San Jose, CA, Danielle and David can help you find what you're searching for. In San Jose, condos come on the market every day, and our listings are constantly updated so you will always see the latest San Jose lofts and condos on the market. 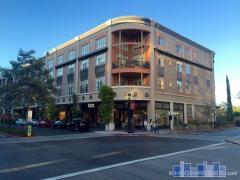 Explore San Jose luxury condos with a local specialist to find a place with the amenities that are important to you. You'll find every Silicon Valley loft, condo and high-rise currently available for sale on this site with pictures, pricing and more. Search all Silicon Valley condo buildings and see what's available in each. Filter by neighborhood, building type and more. Danielle & David Contreras are Silicon Valley high-rise specialists. Contact Danielle & David for expert representation. San Jose is a popular destination with plenty of historic charm and family-friendly things to do in the heart of Silicon Valley. For those interested in San Jose high rise condos, there are plenty of neighborhoods from which to choose. Downtown is a great area for people who want to be in the center of it all, with shopping, dining, and nightlife all within walking distance. Japantown has a number of well-regarded restaurants, martial/performing arts, and the beautiful San Jose Buddhist Church Betsuin. If you're seeking a more relaxed pace in San Jose, new condos are often available in Willow Glen and West San Jose. Whether you have your eye on a certain neighborhood or need particular amenities, we can help you find condos for sale in San Jose, CA, that fit the bill. Give us a call to get started or schedule a walkthrough today. Where in San Jose will the new Google Village employees live? © 2019 MLSListings Inc. All rights reserved. Based on information from MLSListings MLS as of April 19th, 2019 at 3:09am PDT.